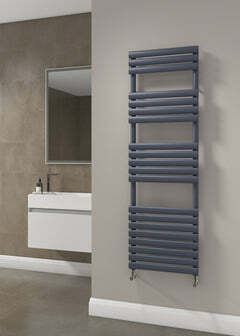 The DQ Tornado Horizontal Designer Radiator has an amazing look, with flat modern bars running horizontally. The DQ Tornado would look amazing in any room in your home. It is available in a lot of size and colour options so should suit most applications. Please contact us if your size is not showing below. The DQ Tornado is available in mild steel. 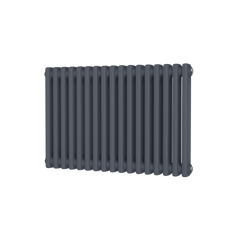 The DQ Vulcano Horizontal Designer Radiator - Dark Grey - Double Panel - is a great looking radiator, which has the benefit of a unique shaped tube, which ensures it delivers great heat for its size. The DQ Vulcano Horizontal Designer Radiator - RAL Colours - Double Panel - is a great looking radiator, which has the benefit of a unique shaped tube, which ensures it delivers great heat for its size. The DQ Vulcano Vertical Designer Radiator - White - Single is a great looking radiator, which has the benefit of a unique shaped tube, which ensures it delivers great heat for its size. 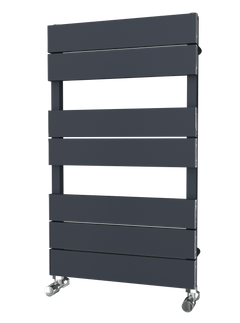 The DQ Tornado Vertical Designer Radiator has an amazing look, with flat modern bars running vertically and a unique shaped rear. It is available in a lot of sizes and colour options so should suit most applications. If the size you require isn't shown then please contact us - there are over 100 sizes in total so we will be able to assist. Delivery: White available next working day - please check stock prior to ordering. 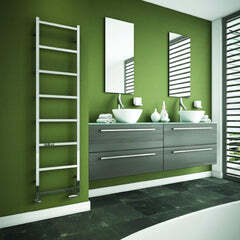 The DQ Vulcano Vertical Designer Radiator - RAL Colours - Single Panel is a great looking radiator, which has the benefit of a unique shaped tube, which ensures it delivers great heat for its size. The DQ Vulcano Vertical Designer Radiator - RAL Colours - Double Panel is a great looking radiator, which has the benefit of a unique shaped tube, which ensures it delivers great heat for its size. The DQ Vulcano Horizontal Designer Radiator - White - Double Panel - is a great looking radiator, which has the benefit of a unique shaped tube, which ensures it delivers great heat for its size. The DQ Vulcano Horizontal Designer Radiator - RAL Colours - Single Panel - is a great looking radiator, which has the benefit of a unique shaped tube, which ensures it delivers great heat for its size.